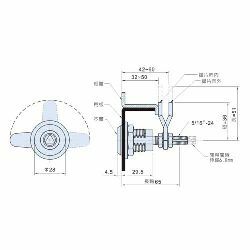 Features : The grooved shaft and pawl are excellent match in four (4) positionling points. They are a easiler way to instal. They are durable and strong. The grooved shaft is 6mm to expand and contract. latch is opened and closed. Once opened, the pawl will be 6mm expanded to rotate smoothly. Once closed, the pawl will be 6mm contracted to compress the panel and cabinet. 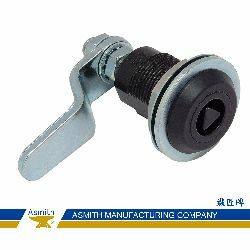 This compression latch has good waterproof and against vibration.